A success story with more than 100 years of achievements. 1905 / FIRST COOKIE FACTORY IN YUCATAN. 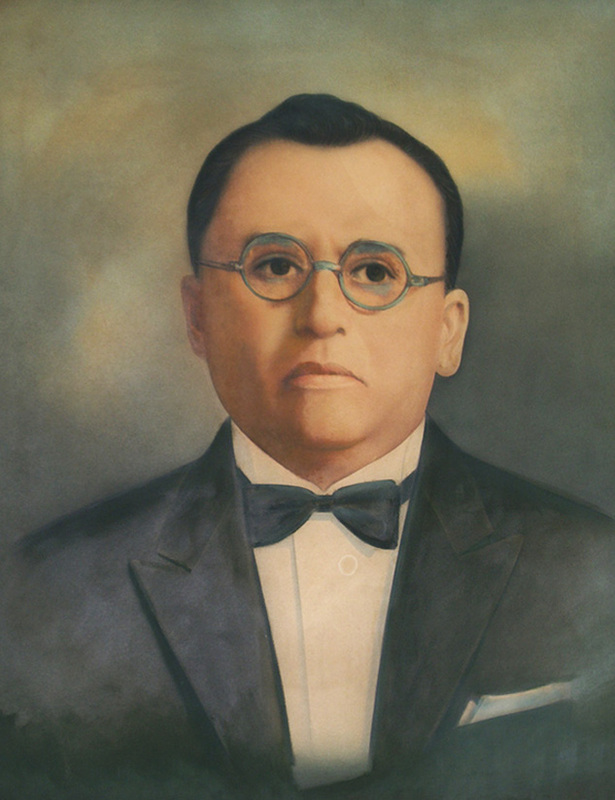 It was in 1905, in a modest hall on Calle 18 #194, between 15th an 17th in the borough of Garcia Ginerés, originally known as the Burough of San Cosme, where the first cookie factory in Mérida, Yucatan was founded by Mr. Luis A. Dondé. 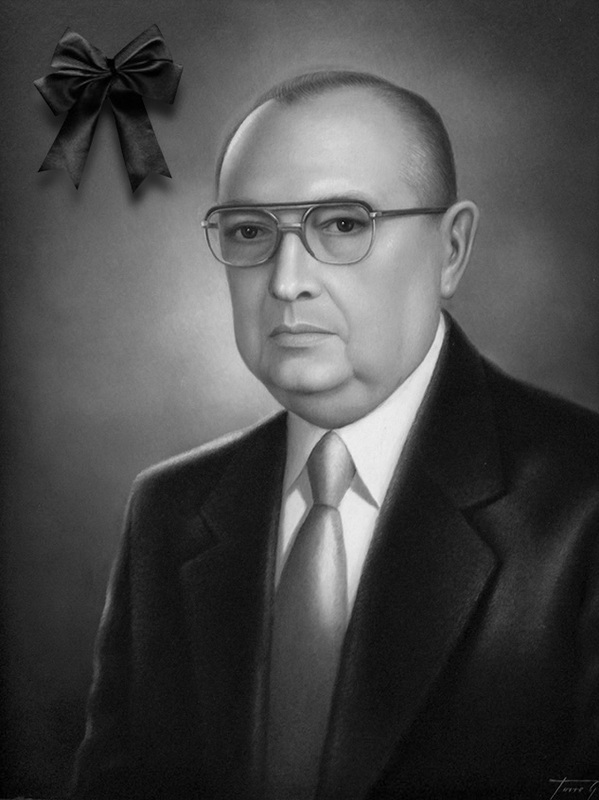 Luis A. Dondé-Quintero, Founder of Galletas Dondé, who always cultivated excellent quality and impeccable service as the company’s strengths. 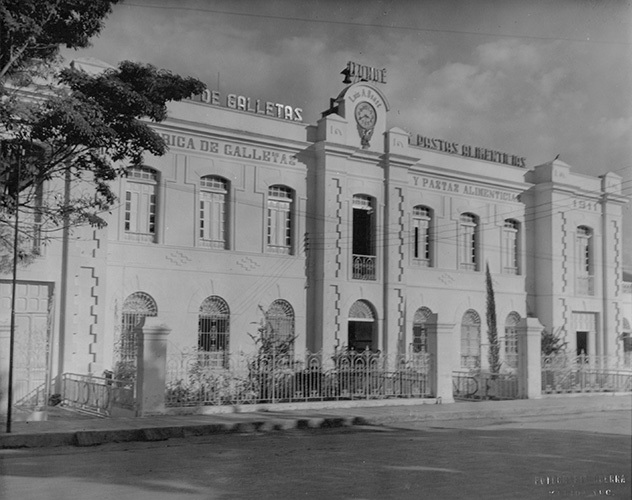 1911 / A NEW COOKIE FACTORY IN DOWNTOWN MÉRIDA, YUCATÁN. 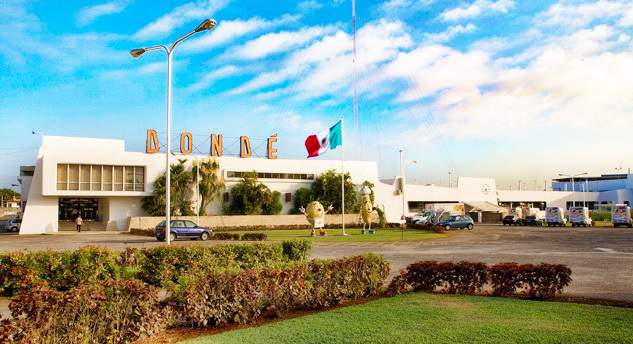 Six years after the company’s creation, in 1911 Luis A. Dondé inaugurated the first building expressly built for cookie manufacturing. 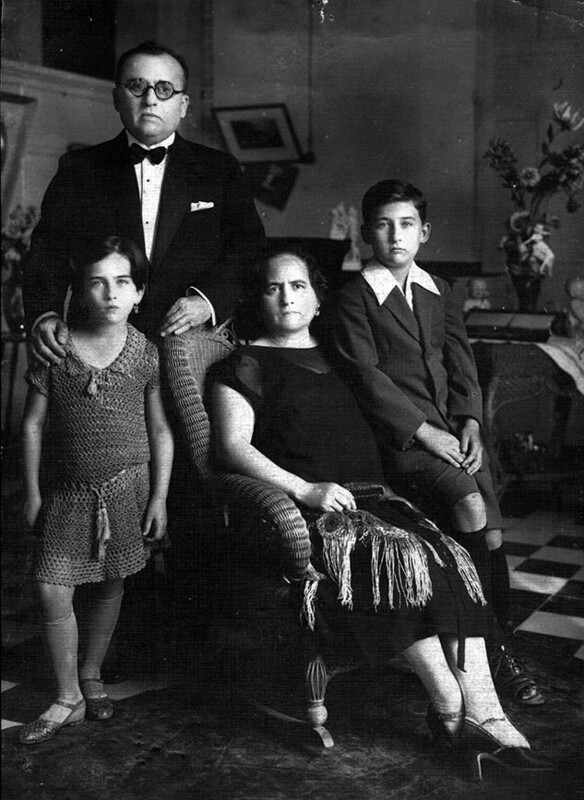 Luis A. Dondé-Quintero, founder of Galletas Dondé, and his wife Concepción Ruiz-Flores, with their children Joaquin and Alicia Dondé-Ruiz, in a photo from 1923. 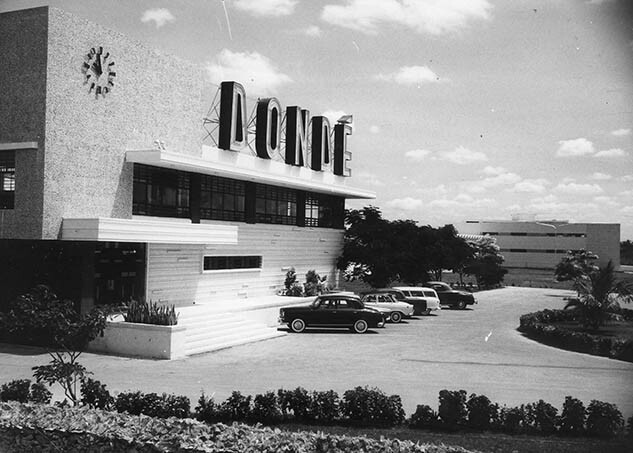 With a visionary spirit, in 1938 the Dondé family transformed the Luis Dondé, S. de C. company and established Productos de Harina, S.A. de C.V. corporation. 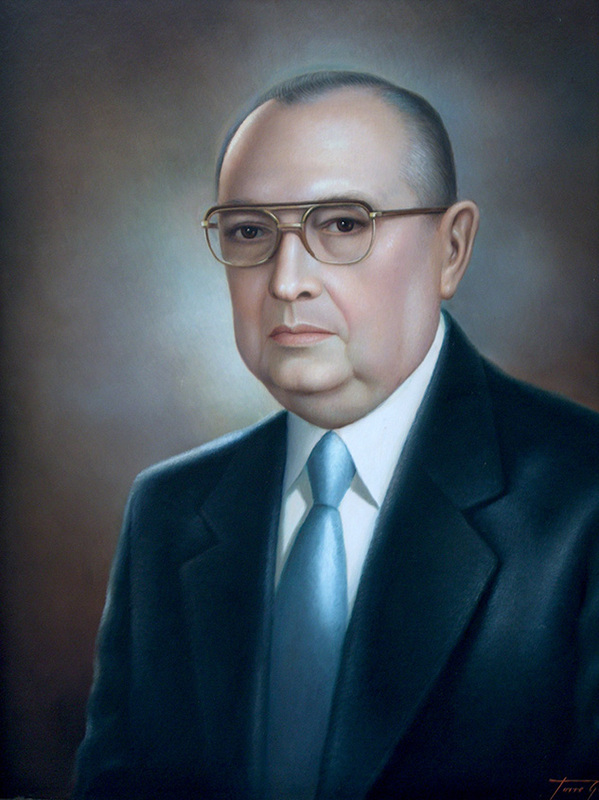 In 1947, Mr. Alejandro Gómory-Aguilar took over as CEO and implemented major changes to consolidate the company. 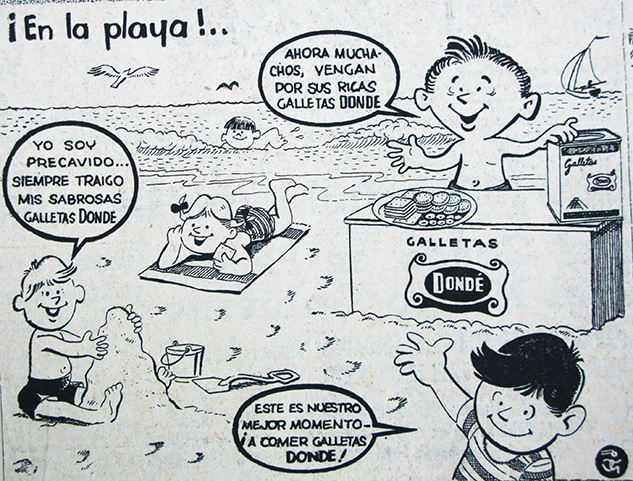 On a coastal beach of Yucatan, five smiling children enjoy the sea, the sand and the ocean breezes…and some delicious Dondé cookies. This image reminds us of summertime family vacations, one of the most deeply rooted traditions in the Yucatan. This ad wad published in the state newspaper, El Diario de Yucatán, in 1950. This entertaining drawing clearly illustrates the company’s philosophy and the values handed down from its founder: complete customer satisfaction, product quality and promoting brotherhood and a healthy life. 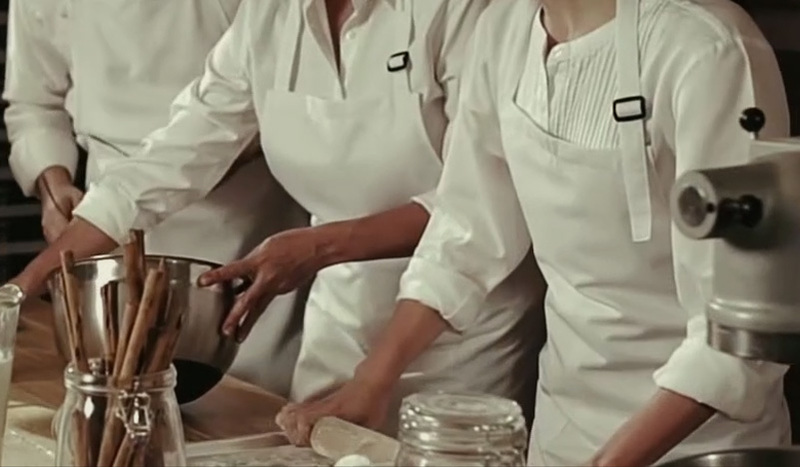 The Garcia Ginerés plant was expanded in 1955, evolving from a wood oven to the next generation of the time, and new products were baked and strategies implemented for the company to take off in the 60’s. 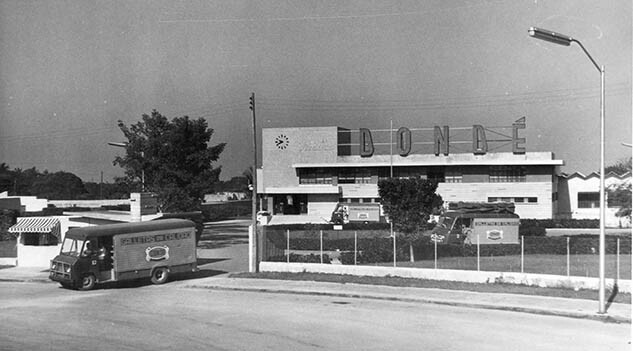 Delivery vehicles leave the Dondé plant parking lot to deliver to points of sale throughout the city in the 60’s. 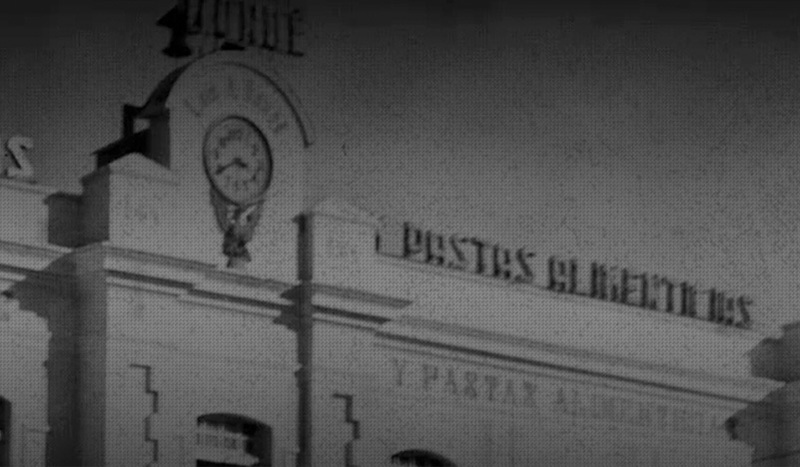 As part of the company’s expansion, in 1965 the Pasta Plant, the most modern of its time, was inaugurated as part of the Garcia Ginerés plant, where it is still located today. 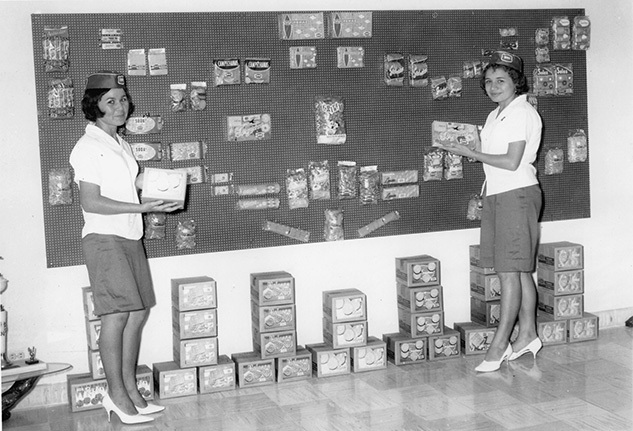 Young hostesses at an exhibit of a wide selection of Dondé cookies. 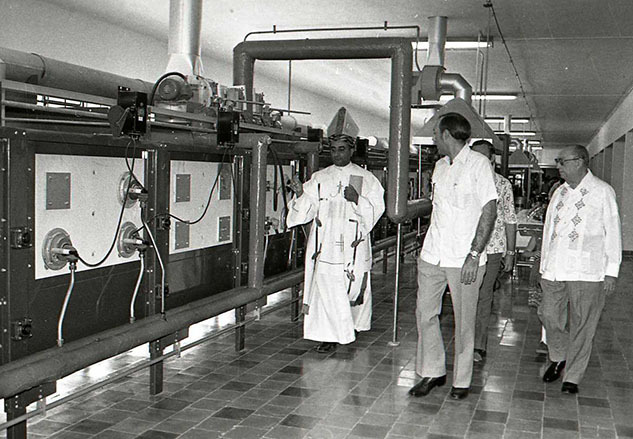 In December of 1977, archbishop Manuel Castro-Ruiz, here with the Gómory brothers, blessed the new machinery that began operations in the plant. 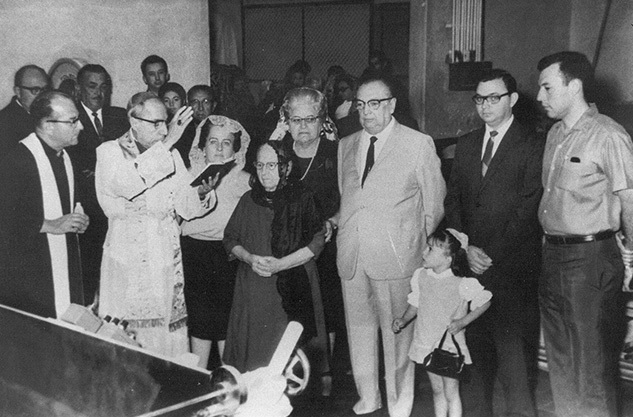 Photos of the occasion reflect how modern the plant was for its day. After the death of Mr. Alejandro Gómory-Aguilar, Esq. in 1978, Carlos Gómory-Rivas took over as operations manager, while Alejandro Gómory-Rivas headed production. 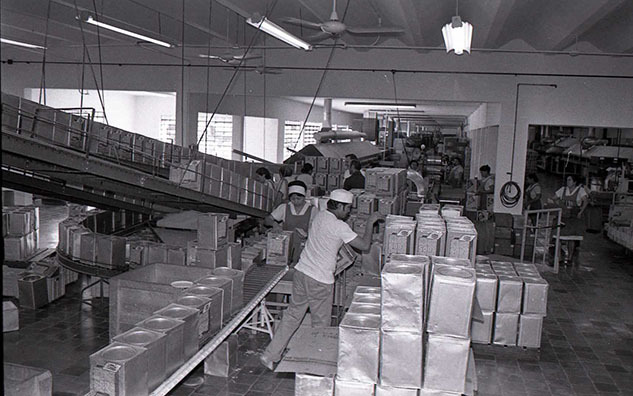 Following the company’s policy for updating, modernizing and improving efficiency, and given the needs of the market at that time, the company decided to build a mega-plant in the Mérida-Uman industrial corridor, with fully automated production lines and greater dough-to-packaging processing capacity. The plant began operations in 1990. 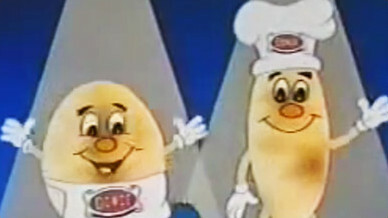 1994 saw the birth of Galletas Dondé’s two iconic advertising cartoon mascots: Globito and Bizcochito, injecting new energy into the company and product marketing. 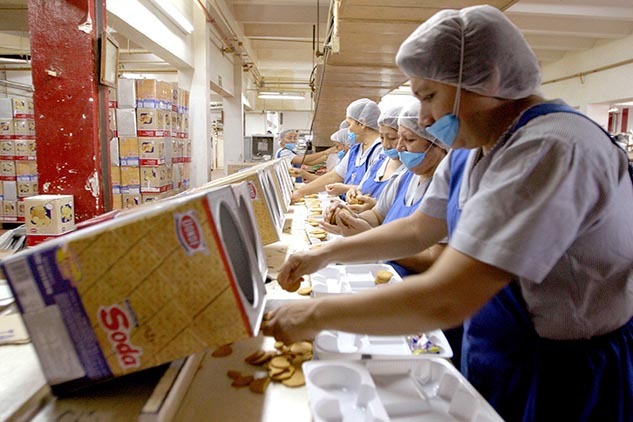 Workers at the Dondé plant select cookies for a presentation with a selection of cookies. 100th anniversary Logo. 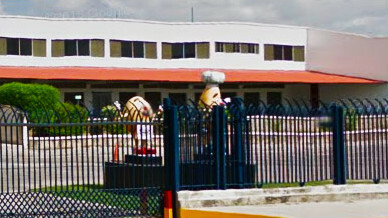 In June, 2004, Globito and Bizcochito, Galleta Dondés’s advertising cartoon mascots, presented the commemorative logo for the 100th anniversary of the company’s founding. 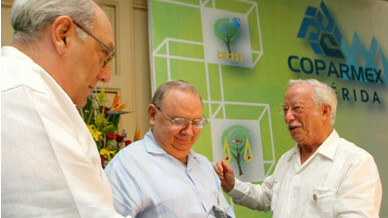 Alejandro (left) and Carlos Gómery-Rivas, managing directors of Productos de Harina, receive an award for Galleta Dondé’s 100th anniversary from Alberto Estevia (right), National President of COPARMEX, the Employer’s Confederation of the Mexican Repulic, in February of 2005. 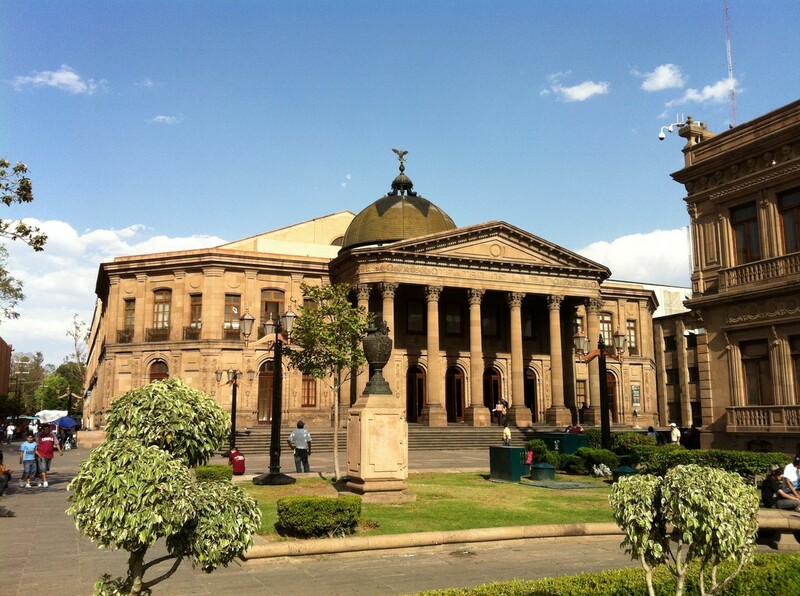 2017 / DONDÉ ARRIVES IN SAN LUIS POTOSÍ! Dondé joyfully entered the market in this beautiful state to delight the most demanding of palates with its huge product selection.